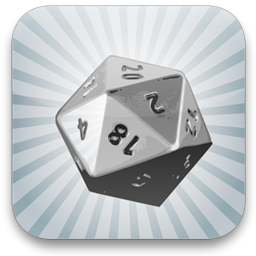 The ultimate d20 v3.5e reference document for the iPhone! Users pledge this app to be the best d20 SRD app available! An excellent tool for DM and players alike! This is the ultimate d20 Rule app, ridiculously cheap! Now you can enjoy a ton of d20 RPG OGL material wherever you are! All these documents are the full, real deal, stored offline on your device. Concepts are thoroughly interlinked, and indexes make finding what you want both fast and easy. The app also sports a smooth bookmarking feature which lets you maintain your own index for instant access. Are you tired of carrying around huge books? Why should you, when you can keep all the stuff you need for a good d20 RPG session right on your mobile device? While your friends are struggling with heavy books and well hidden rules, just fire up this app and settle all questions long before your fellow players have found where to begin reading their dead tree tomes. Thanks to Clay Downling over at openclipart.org for a nice picture of a d20.